August 16, 2017 ~ Sleepy Owl Co. I thought I’d share a preview of one of the new kits for sale in the upcoming Holiday catalogue. Now, there have been many kits Stampin’ Up! has offered us, but none (IMO) were as quick and easy as this one. This particular kit comes with all the card components required as shown in the image below. It does not however come with the stamp set. The best part is, you will only need one colour ink: black archival to be exact. 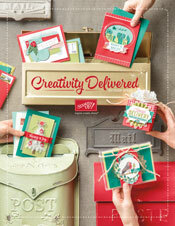 The kit makes 20 cards (including envelopes), 5 each of 4 designs. The envelopes come with beautiful gold foil liners. So I got to work using the handy dandy instruction manual to help me assemble the cards. and here they are…all 20 done in an hour’s time! All 4 designs are super cute, it’s hard to choose a favourite. Even though I’m done with the kit, I still plan on using the stamp set again to create an adorable set of note cards…pics to come soon. 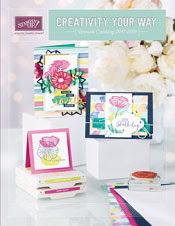 The holiday catalogue will be available for customers to see beginning September 1. Want a copy? Ask me! Next ›What goes on at a Sleepy Owl Stampers Gathering?